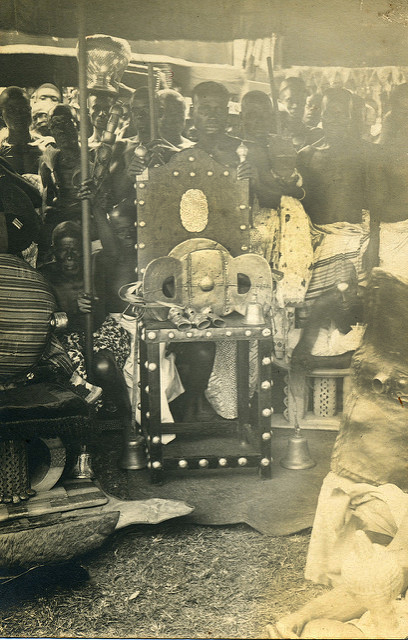 The Golden Stool, symbol of the soul of the Asante Nation, was kept in trust by the Asantehene. It was hidden when Prempeh I was forced out of the Adum palace and sent into exile, reemerging in 1921. It never touches the ground, and has its own throne and ornaments.